Share your book and access more beta readers. As a writer, you are always in control of who can read your book, and you can revoke access for any reader at any point. By default when you add a book to betareader.io it has it publish state set to: Unpublished. In this state you can invite readers to your book but they cannot yet read it. Or at the end of a beta you can set the book to "Unpublished" to remove reader access to the book while still preserving the reading data. 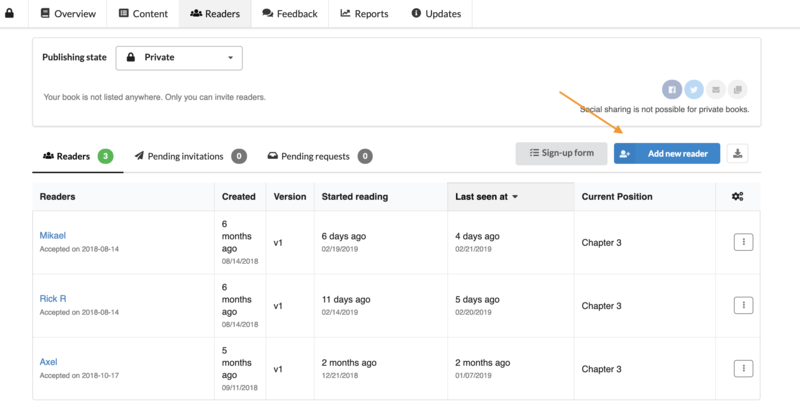 Listing your book in the BetaReader platform will make it appear in the discovery view of all beta readers on the platform. 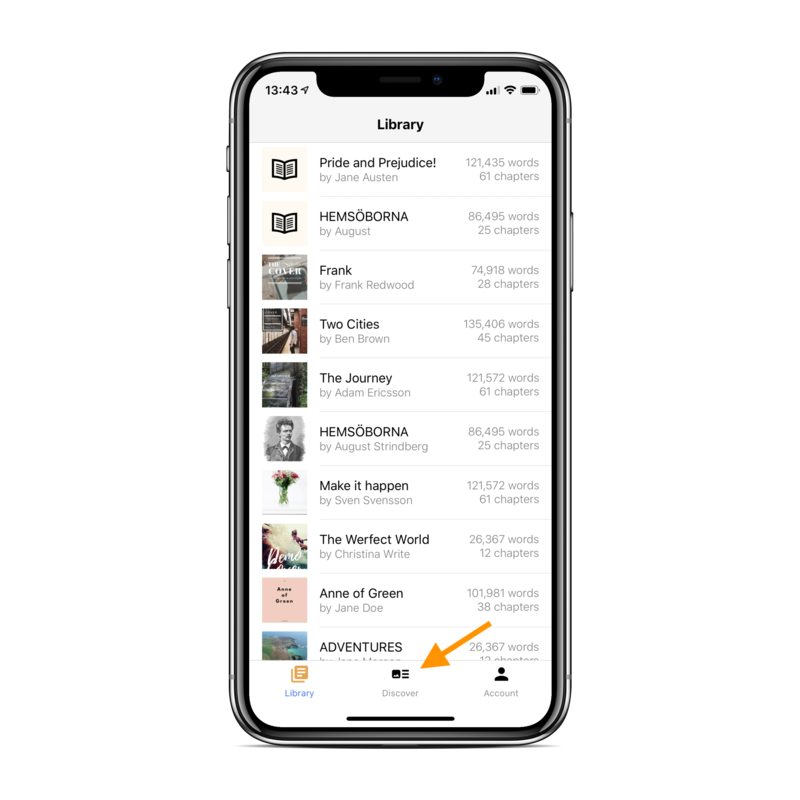 This could be a great way to access more beta readers. Remember you will need to approve all reader requests that comes from "Discovery". In Readers tab under Privacy level select "Listed"
2. Share a link if you select privacy level "Closed", you get a shareable link to accept invitations though. You can use this link to post in social media or however you want to share it with the quick buttons to the right. Readers who follow the link to beta read your book, will go to your sign up survey or directly to request to beta read. You will then need to approve the request to read in the readers tab. The default privacy level on a new book is Private, so you are in complete control of when you want to share, with whom, and under what terms. You can easily invite readers through email under the readers tab. Click on the Add new reader button, and enter the reader's email address. If you check the Send invitation email box, BetaReader.io will send an invitation email to the new reader. If you want to send the invitation yourself, you can uncheck this box and instead copy the invitation link from the reader's context menu after creation (the far right option on the reader row).